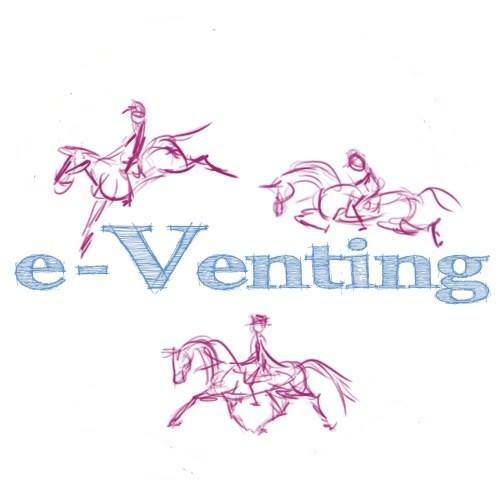 There have long been links between the sports of eventing and racing, particularly jump-racing. The racing fraternity often use eventers to improve their horses’ jumping – Lars Sederholm was doing this back in the 60s and Yogi Breisner continues to work with racers despite his eventing commitments, famously improving Long Run’s previously unpredictable jump prior to his 2011 King George win. Chris King amongst other eventers has a sideline schooling racehorses over fences. Ginny Leng, Ian Stark and many of the ‘old guard’ dabbled in training pointers once their riding commitments dwindled and Mark Todd spent his ‘retirement’ training flat horses in New Zealand, picking up a Classic win in only his third season in the sport. Tina Cook is the daughter of legendary trainer Josh Gifford and rides several lots out every day for her brother, Nick Gifford. This led me to wonder whether we could turn the tables and what racing could teach us as eventers. 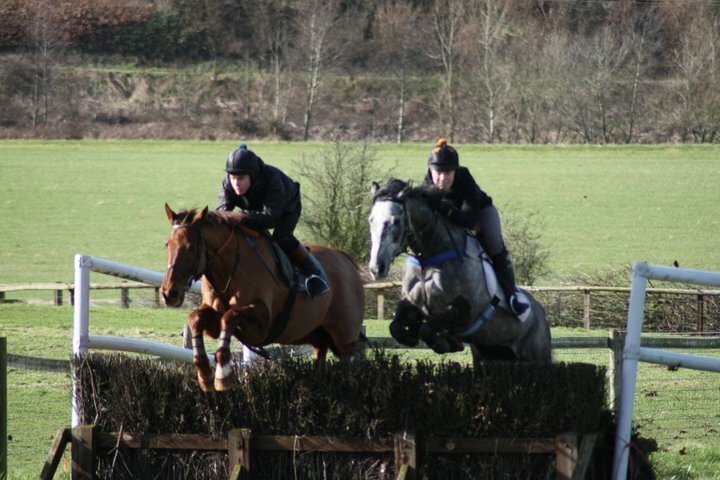 I spent three winters recently riding out for a National Hunt/point-to-point yard before work. I rode all sorts of horses at all sorts of speeds, on the gallops and over fences. Luckily I was too heavy to ride the really small sharp naughty ones (the trainer once introduced me at the races to one of his owners as ‘the girl I use to teach your horse to gallop up hills carrying 12 stone’!) and I generally got the bigger chaser types, which I preferred. My time there led me to draw some very interesting comparisons between the two sports. I know I learnt a lot about balancing a horse at speed, using controlled speed for fitness, how to effectively use the gallops to produce and maintain fitness, how to ride a strong horse without having a constant battle and how to stay on with short stirrups. 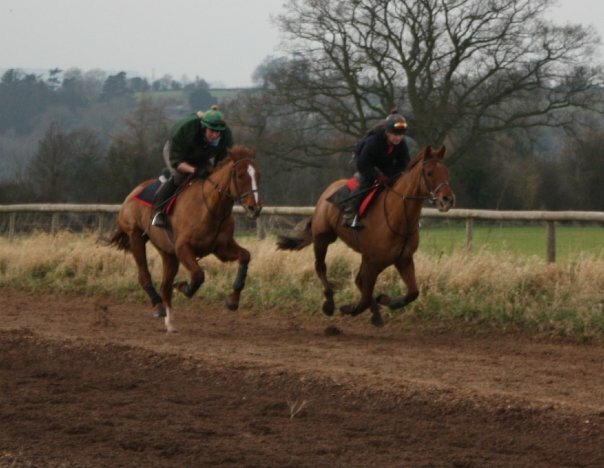 I decided to ask some people who event and work in racing whether they had the same experiences as me and what they thought eventers could learn from riding on the gallops. Beth Eckley in her day job – riding some of the top NH horses in the country. 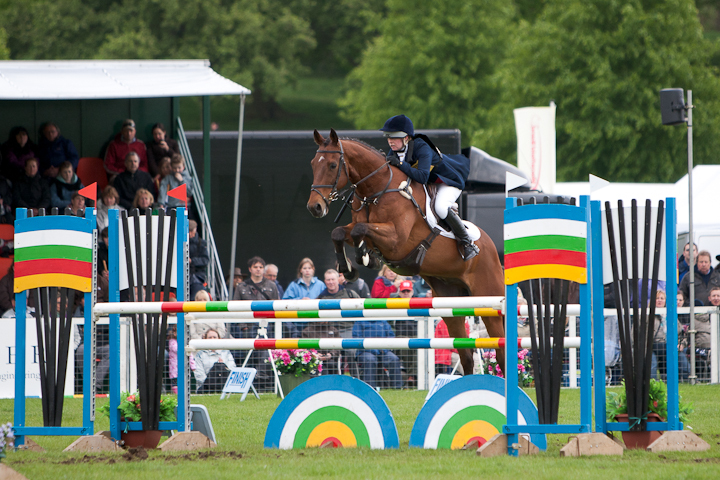 Firstly, focusing on the advantages – what does riding racehorses bring to your eventing? 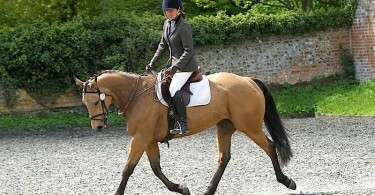 Rachel Cawley has evented to Novice level and has worked for several Newmarket trainers, mostly riding flat horses. She says: “It helps me in a lot of ways – I am a much fitter rider. I am able to stand out of the saddle for an entire XC round without feeling my legs in the slightest. I am better balanced in canter and gallop. I have a better concept of how to steady a horse using a bridged rein, rather than fighting with a strong one. I have learnt to stay on anything! 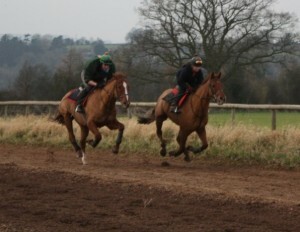 Riding quirky fillies teaches you tact too”. Claire Boumphrey, who has worked in racing and ridden at 3* level, concurs: “Who has ever seen a jockey cantering down to the start on a keen racehorse having to fight and haul its back teeth out to keep control? It’s all done through balance, position of bodyweight and soft hands”. Beth Eckley has ridden to Intermediate BE and also in point-to-point races. She works for top NH trainer Venetia Williams. She says that racing has taught her about speed versus rhythm: “Getting from a to b as quickly as possible isn’t necessarily the best way to ride XC. It’s all about getting a horse into a rhythm that it’s happy with for the whole round. That varies from horse to horse – some that aren’t so quick can still make the time if they can cover the ground and stay in a rhythm”. Katherine Begley trying to leave the long flat strides behind at Chatsworth Advanced. Photo Alastair Begley. So far so good, but are there any disadvantages? Most of those I talked to agreed that the show-jumping could become an issue. Advanced eventer Katherine Begley, who has worked in flat and jump yards and rides in point-to-points says she is now inclined to sit more forwards and see a long flat stride to a fence. It works for racing but obviously isn’t ideal for a 1.25m upright! Claire and Beth both commented that they found it hard to drop their stirrups for dressage. The muscles used are very different and Claire particularly mentioned that her legs didn’t feel anything like as strong at dressage length. Most of the eventers I spoke to that worked in racing had also had point-to-point rides and those that had not had had the opportunity to school horses over fences. Claire admitted that she didn’t enjoy it particularly at first: “Jumping a fence at that kind of speed is scary for someone who likes to take a pull and see a nice deep forward stride to get the horse in the air and using itself well. 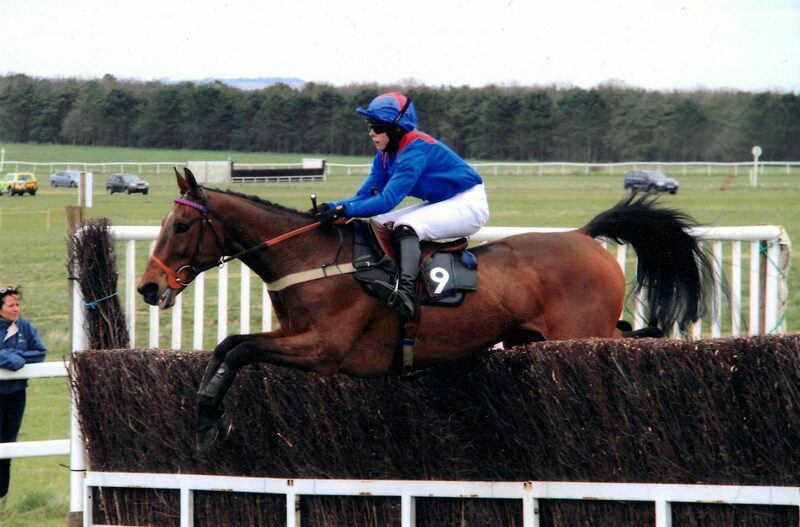 Racehorses are meant to jump long and flat which is a feeling I didn’t like.” Katherine enjoyed her experience more: “Race riding, in particular, has made me fitter. It has also made be able to give a horse confidence XC to jump a fast safe round”. 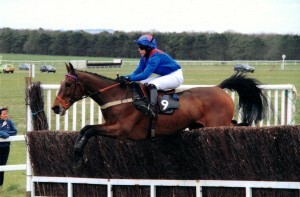 Jacqueline Coward riding her Cheltenham Foxhunters hero Amicelli. Photo John Grossick/AGA Point to point. To get the other side of the picture I had a chat with leading lady point-to-point jockey Jacqueline Coward. 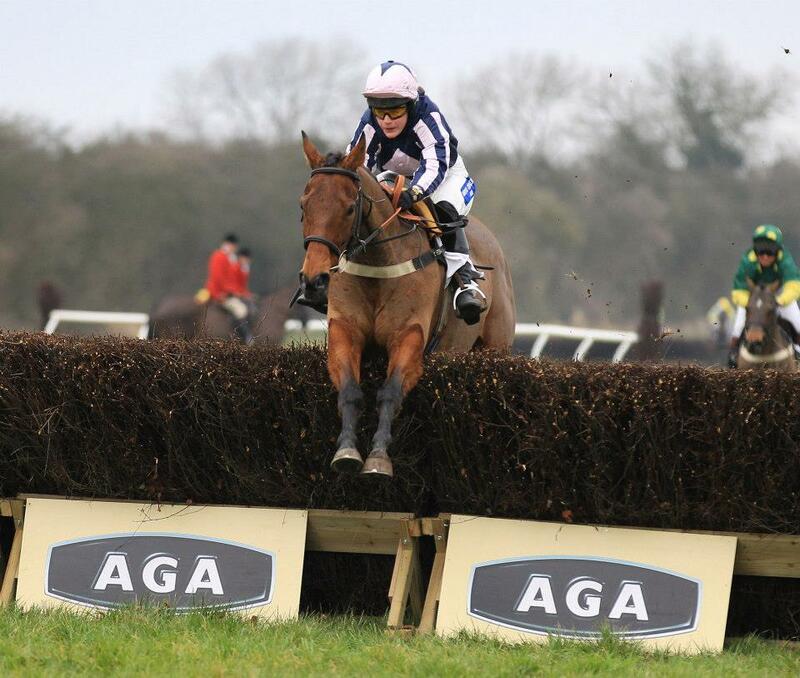 Jacqueline has also ridden extensively under rules, including at the big meetings at Cheltenham and Aintree. She used to event, competing up to Intermediate level. Firstly I asked her whether she thought her background in eventing had helped her race-riding – she agreed that it had. “I think when I first started pointing my time in eventing meant I knew more about the rhythm and balance of the horse and whether there was anything amiss. It also helped me with presentation to fences and tight bends and corners. What I learned from XC and show-jumping has really helped when I’m racing on tight tricky tracks”. So does she think that eventers can learn from riding out racehorses? “Definitely! I had a friend who rides at 4* come and ride out a bit for me and she loved it. It does eventers so much good to ride out so that they can understand about what speed is. It also helps if they school horses over fences and realise that they don’t have to help them out all the time – horses aren’t stupid! Another eventer came to ride out for me and it was incredible how her confidence built from riding lots of different horses at speed. She went back and rode her own horses with much more vigour”. So does Jacqueline see herself returning to eventing? “Not really, I don’t get the kick from it that I do from racing. We do have a very nice 5yo that I’m tempted to do some RoR with but I find it hard to sit up straight now. It’s worst in my shoulders, which have taken a bit of a battering over the years. After 10 minutes of flatwork I’m knackered”. And this from a girl who has already had over 100 race-rides this season! I think that all the people I spoke to have confirmed my beliefs that it can be of huge benefit to eventers to spend some time in a racing saddle. If nothing else it should teach you a little about getting horses fit and how to use the gallops effectively to benefit your own horse, though obviously there’s more relevance to eventers in how a staying chaser is trained than a 6f sprinter! It’s a bit of a cliche but everyone interviewed mentioned without prompting the huge privilege they feel in riding a quality thoroughbred on the gallops before most people are out of bed. There are speeds that your average eventer doesn’t even know exist. Sometimes when riding a piece of work, or even a sprint, you are going so quickly that your eyes are a blur and it’s hard to breathe. I’m not for a second suggesting that you approach your XC rounds in that manner, but it’s an immensely exhilarating feeling that everyone should experience once. It might also just make you realise how slow, comparatively, BE90 XC speed really is! The craic, camaraderie and no-nonsense attitude on racing yards also came in for praise. The downside is probably the attrition rate – particularly amongst young flat horses – and the way injuries are dealt with. No wrapping in cotton wool here! Some eventers can find this side of racing hard to stomach. I warn you, it will hurt, even if you don’t fall off. For the first couple of weeks your legs will burn like never before and you’ll plan your day to avoid as much standing up and sitting down as possible! I was used to riding three ‘normal’ horses a day but on the morning after my first day at the racing yard I could barely get out of a chair and had no chance of lifting my arms above shoulder level. It will improve though, especially as you learn that it’s a battle of balance, not strength. I didn’t ride stupidly short, especially over fences – about 5 holes up from my usual XC length. There are no prizes for trying to look like AP! You may not get the chance to school over fences, but you can learn an awful lot from riding on the flat. I’m not suggesting that everyone should give up their jobs and go to work on a racing yard or take out a point-to-point licence but the eventing off-season coincides very neatly with the peak pointing/NH season so why don’t you ring up your local trainer and ask whether they’ve got any vacancies for riding-out? You’re unlikely to get paid and also unlikely to get to ride over fences, at least initially, as most trainers have specific jockeys they use for this task. However, like I did, you might find yourself on a yard where if you prove yourself and make a good job of it the trainer will be happy to let you have a go at pretty much everything. Go on, give it a whirl! Tip of the Day – Which way does your horse fall in or out? Tip of the Day: Fly veils and ear plugs.